For the promotions of his upcoming film Baby, Akshay Kumar shot for Savdhaan India (TV show on Life OK) where he spoke about his passion and something he religiously follows and speaks about – women self defense and martial arts. Akshay shot for the episode at his ‘womens self defense center’ where he spoke about how he thinks every girl should learn how to fightback and self defend herself. The self defense centre where he shot is started by him at andheri sports complex. 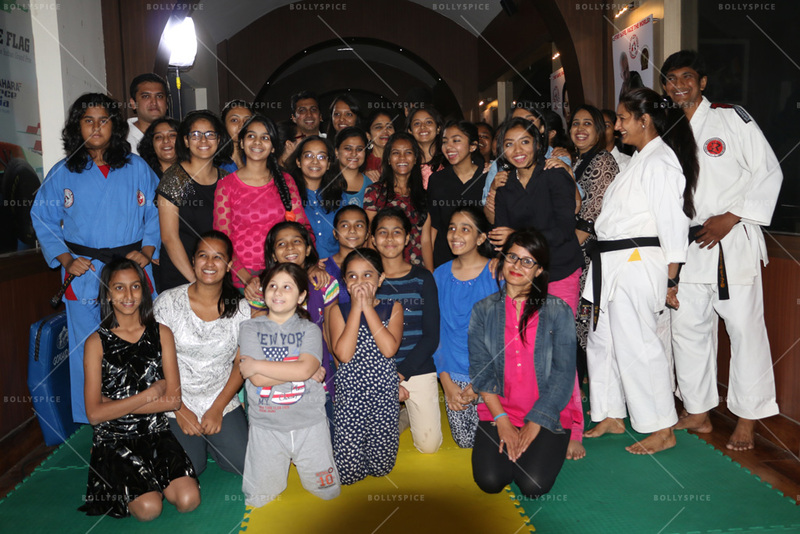 A lot of girls / women of all age groups from all walks of life like a student, an office goin girl or a housewife to a maid or worker learn together different kinds of martial arts where Akshay himself with his team teaches these girls self defense techniques. Akshay from his busy schedule always dedicatedly goes to the training centre every weekend sparing 3 hrs everyday to teach these women. These girls enroll in the institute free of cost and Akshay himself comes here religiously to teach and empower these women on self defense free of cost. Akshay who has a packed schedule has taken his passion of martial arts to another level by incorporating all his learning for the good of women. 16 queries in 0.484 seconds.